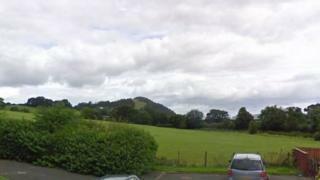 Plans for 54 new homes in Welshpool would result in noise and emissions complaints from future residents, businesses have said. The proposed two, three and four bedroom homes off Gallowstree Bank would all be affordable. But businesses at Buttington Cross Enterprise Park said the proximity of their operations would provoke complaints from future residents. Developer Pickstock Homes said changes had been made to reduce noise impact. The firms told Powys council they were "there first" and would defend themselves from complaints. Karl Meredith, of Castalum, said: "Building houses adjacent to a foundry and other manufacturing businesses will not engender a high quality of life. "We manufacture six days per week and for 24 hours... on the close day we carry out maintenance. "The potential residents will thus be subject every day to some noise and smoke, which although within the bounds of our environmental requirements will provide a constant nuisance." Mr Meredith believes the council will end up receiving complaints from residents - but said that would be the council's problem if it allows the development to go ahead. Pickstock homes managing director, Nick Scott, said the firm had been in discussion with the council over the issues. He said the firm employed an acoustic consultant, and was able to make changes to the design to lessen the impact of noise from the enterprise park. He added the plans would give the town a "significant boost". "The proposed scheme will deliver 100% affordable housing and as such represents a very significant investment in the local community addressing an identified need, which has historically not been met," he said. The scheme has also been backed by Welshpool town council.